When I was about 6 or 7 years old my Mom decided to go back to school. I was in school Monday thru Friday all day by this point, so she had time to attend classes and study during the day. Her main goal was updating her late 1950’s early 60’s education of typewriters and tediously done paperwork, and enter the modern age of computerization. The end objective of course being to take on a part-time office job while I was in school. My mother learned quickly and soon became our resident computer expert, bringing home cool text books, library books, and magazines on computers and the future of technology. I can remember this one Time-Life book she bought home from the library filled with robots and computers, and with future depictions of robot tractors farming fields, and rescue drone helicopters sent out by the dozens to help flood victims stranded on their roofs. This was between about 1983 and 1985, when the world of computers and their possibilities, provided us all with a lot of anticipation. 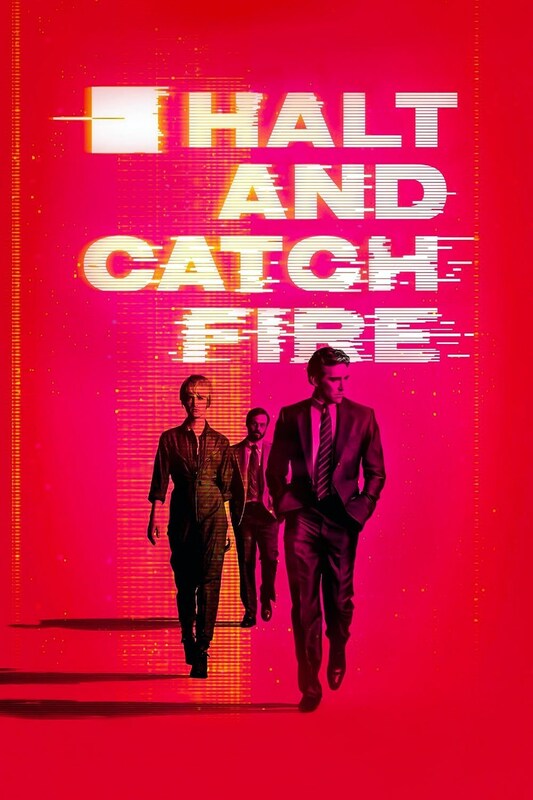 It was an exciting era, and one that has since inspired movies like The Pirates of Silicon Valley, and TV shows like Halt and Catch Fire, as well as being the home era of one of the ultimate computer movies, Wargames. 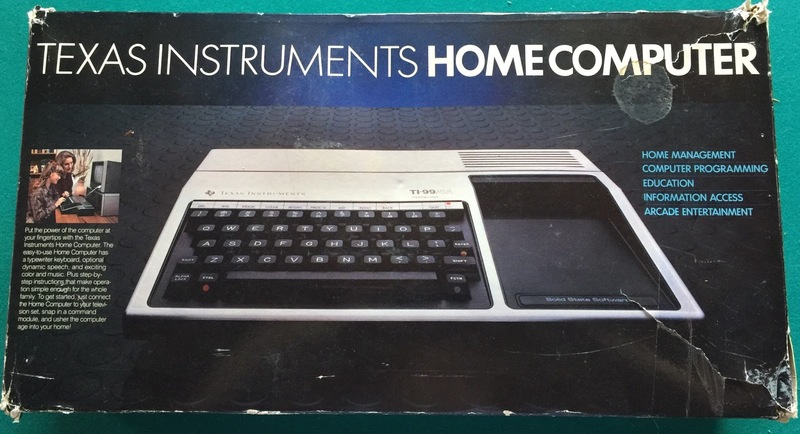 My mom would talk about getting us a computer often, and she would show us magazines with the likes of C64’s, IBM compat’s, Apple II’s, and Atari 800’s. I can remember this one ad that showed an Atari 800XL and it’s writing pad accessory, and marveling when she told me I could write or draw directly into the computer. It was an exciting time for my young mind, and filled me with hopes for a brighter future. It wouldn’t be till the summer of 1987, that my Mom and Dad decided to buy a Commodore SX-64. Commodores so called portable system, the SX-64 weighed about 40 lbs, and nearly measured 2’ x 2’ x 12”, but I loved it. I’ve since spoken of some of my fondest memories of that old computer on this blog before. By 1992 the old SX-64 would be taken out in a bad lightning storm, and in that era it wasn’t something that could be fixed without great cost. It would be about two years more till I got another computer, my Packard-Bell Legend 126, which I’ve also discussed on this blog before too. I consider my Packard-Bell my entry into modern computing though, a lineage leading me up to the computer I’m typing on at this very second. Although, it was in the heart of PC gaming’s golden age of DOS and early Windows, it wasn’t quite like what we experienced in the early to mid-80’s. Watching AMC’s Halt and Catch Fire I’m often taken back to that era. The ingenuity, the excitement of change, the limitless opportunities, and the reality that the world we exist in now is built on those foundations is easy to get swept up in as I watch fictionalized versions of real life computing pioneers change the world with out of the box thinking. 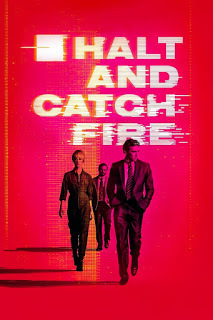 There was this point at the end of the second season when the character of Joe McMillan (Lee Pace) looks out of the windows of his dark newly rented office space towards the lights of San Francisco’s skyscrapers, and the keys it held to Silicon Valley beyond. It was enough to make me remember the 1980’s and those promises of a computerized future it held, making me almost wish I was old enough to have been able to participate in that era. Of course I wasn’t and I was born into a different era, one in which Microsoft’s DOS and later Windows variants dictated what systems are built around, and not what individual manufacturers decide anymore. It’s an era of Windows 10 or Apple iOS, where they later just barely escaped joining the ranks of Commodore, and Atari’s final fate of extinction. If I want to now experience what the mid to late-80’s was like for a computer enthusiast I essentially do it the way they did by playing on the actual systems, especially considering I can own all the original systems for a mere fraction of how much they originally cost even in 1980’s money. So here is a brief overview of my collection without getting into each system in-depth. 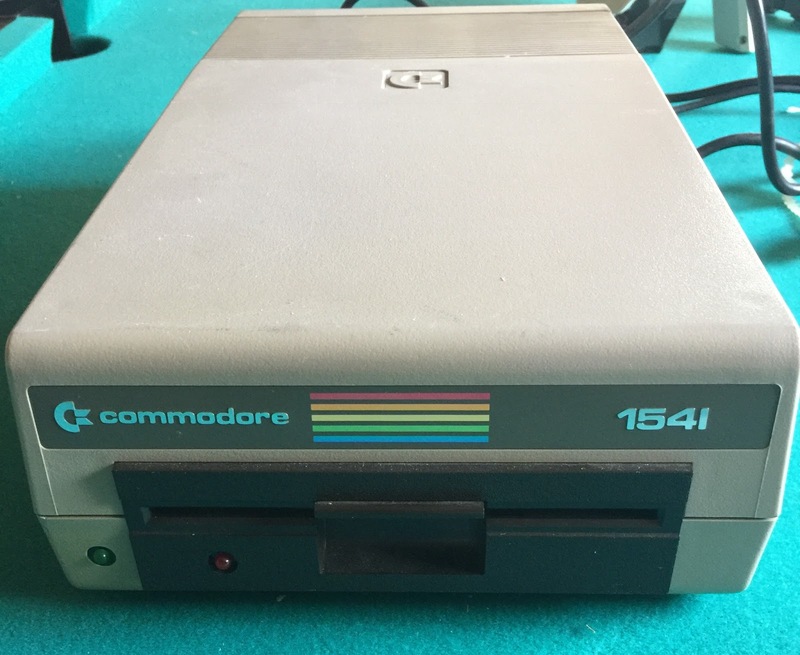 Commodore 64 – The Commodore 64 or C64 is probably one of the most legendary of all the non-IBM compatible computers. It was known as a gaming PC, long before the modern era of gaming PCs. It’s very architecture would share much in common with the NES meaning it was a true game changer in 8-bit gaming and computing. 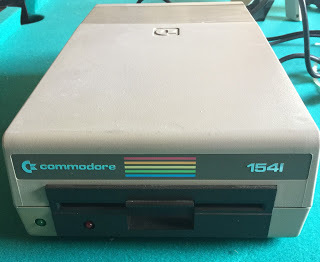 Although the C64 arrived on the scene in 1982 as a replacement to its already successful VIC-20, it would only achieve minor success until about 1984 when it would step into the realm of being highly successful. This success would not only be partly due to a price drop, but also a result 1983’s epic gaming market crash which had consumers walking away from the eras gaming systems in search of the next big thing. 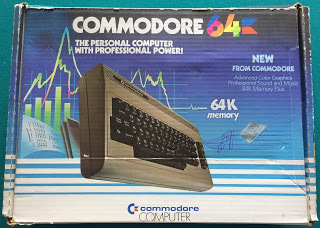 It would be between 1984 and 87 that the C64 would become a dominant player in computers and gaming. At $200 to $300 the C64 was also the best bang for the buck being significantly cheaper than Apple, Atari, and the IBM “compat” entries, but proving to be of far better quality and power than cheaper options like the TI-99, and Timex-Sinclair 1000. 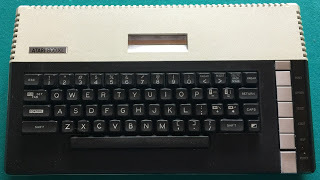 This system itself is a fairly simple computer-keyboard combo, that can be connected into a TV, or even to a Commodore monitor. Other inputs such as 5 ¼’ disk, and tape drives where external, with the former being nearly the size of the system itself. I can’t remember how much my system cost me but I think I picked it up on eBay for less than $100, and bought the 5 ¼’ separately. Mine required a bit of maintenance though since the keyboard diaphragm was a bit dried out, however the repair was cheap to have done even with part having to come from the UK. I currently have 15 games on the system some in 5 ¼’ format and others in cartridge, plus three games waiting to be tested. 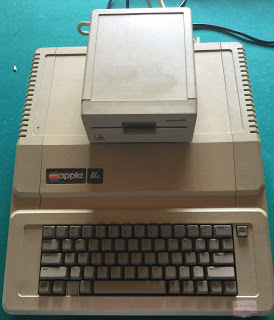 Apple IIe – The Apple II is the computer most Gen Xer’s associate with their grade school days. Like the C64 it was a computer/keyboard combo although a bit larger. It’s top mesa was nearly a foot long, and featured a tray like area in which to rest dual tandem 5 ¼’ disk drives, or the Apples “adjustable” and iconic green monotone monitor. Let’s just say a lot of us experienced hours of Oregon Trail in those fantastic green colors. A personal memory for me is playing hours of Where in the World is Carmen Sandiego towards the end of my eighth grad year of school after the curriculum was long over. This system sold for $1200+ new and was aimed at the high end home audience wanting a useful system with educational qualities, but it was also aimed at the academic market being discounted for the elementary through high school market, and affordable to public and private schools alike. 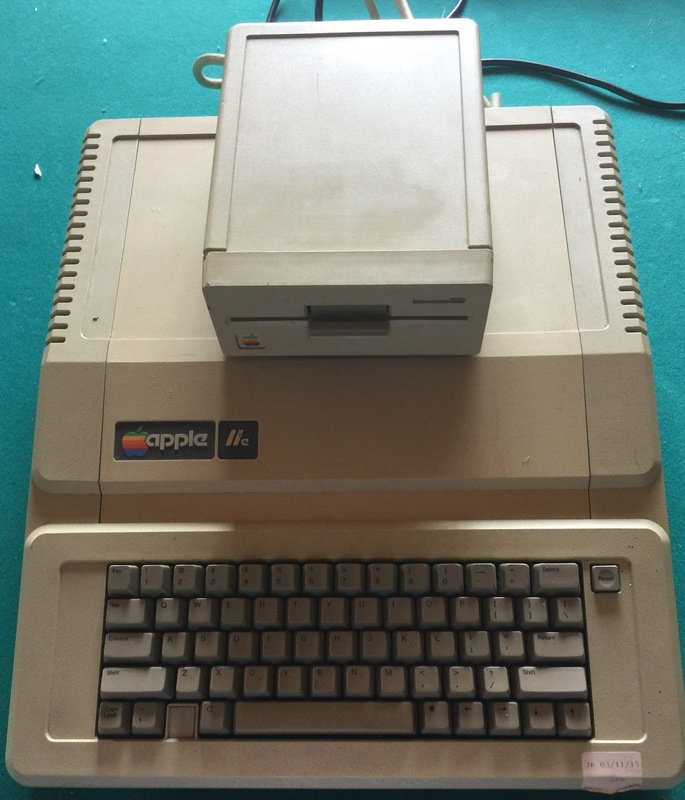 about the Apple II is finding good and decently priced classic games to play on it. Atari 800XL (and XEGS) – The XEGS has a blown motherboard and is in that “I’ll get around to it” pile. The XEGS and my Atari 800XL can play the exact same games though, so don’t let the XEGS cartridge fool you it’s an Atari 800 game the same as any other. 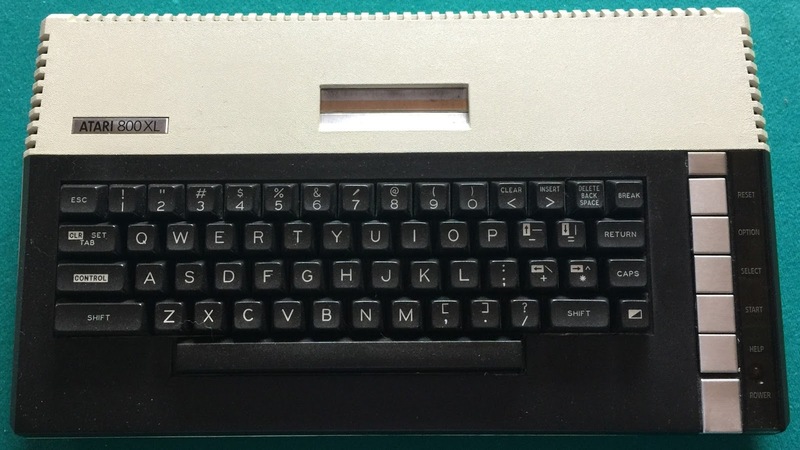 The Atari 800XL as you can guess by the name is a bigger version the Atari 800 and basically shared architecture with the Atari 5200, part of the reason why Atari 5200 games look light years beyond 2600 games. Seeing as to how the 800 was a “computer” though and the 5200 just a dedicated gaming system, the 800 came with a significant higher price tag and longer life span. However, just as Atari’s gaming systems fell prey to the 1983 crash so too did their computers and the formally $1000+ systems dropped to less than $200. Of course Atari trying to identify themselves as an all around computer company would consistently add and drop other systems from their lineup with characteristics close to the 400/800 base models. In 1987 the XEGS would be introduced as kind of a hybrid Atari computer/console in a kind of “take that Nintendo!” maneuver. It would never catch on, but amongst vintage computer collectors, and Atari fans XEGS are collectors items. My 800XL is probably one of my favorite vintage systems. Of course I can only play carts on it since I haven’t gotten a 5 ¼’ for it, but even in carts only I don’t mind. There are actually a lot of games readily available for the 400/800’s that weren’t for the 2600, 5200, or 7800 due to various reasons. Plus considering the 800XL uses a 2600 joystick for gameplay, it’s a similar gaming experience. I bought the 800XL within a timeframe close to when I bought my C64 so again I can’t remember price but probably under $100, with very limited maintenance. As for the XEGS it cost me a little over a $100, but at least it came totally complete and in the original styrofoam. The games, light-gun, joystick, and just about everything else in the box worked, but support groups on the Atariage forums are telling me it’s motherboard is probably shot on the computer itself but I know where I can get a new one for $65. To be honest though knowing the XEGS is nothing more than a pimped out 800 I’m considering selling it, either as-is or after I get a new motherboard in. Between the 800 and XEGS I have 5 total games, and no others waiting as of yet. TI-99 – The TI-99 is a system that basically wormed it’s way into my heart. Like the Atari 800 the TI-99 was another highly priced computer that took a header in 1983, going from a price well above $1000 in 1982 to near $50 by 1984. I have no doubts systems like the Atari 800 and the TI-99 weren’t just victims of the 1983 game crash, but of the C64 hitting the market as well coming in with more power and at a lower price. Of course the TI-99 also found itself at another unique disadvantage too, since Texas Instruments aimed the TI-99 more at the educational market than the consumer market. 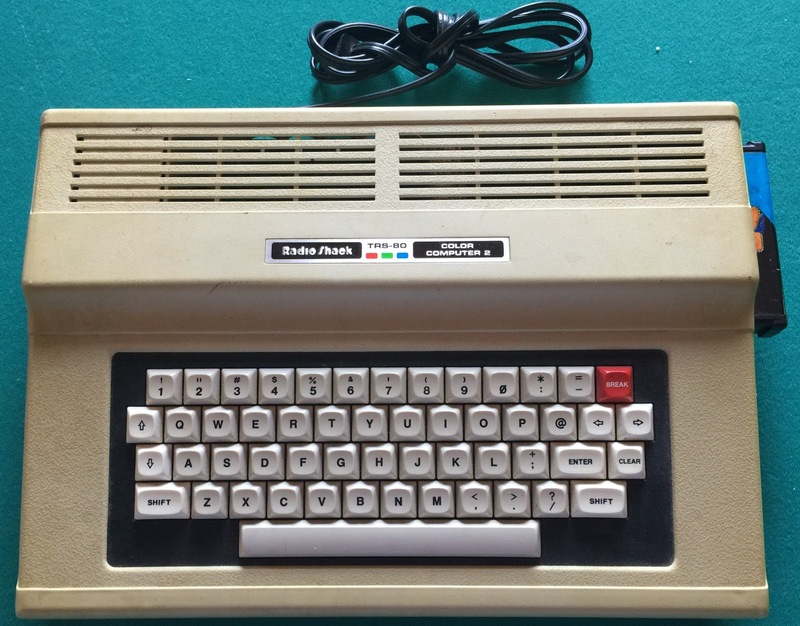 This left it under-powered for competing with the likes of the C64, and at a market disadvantage competing with the Apple II for a place in schools. My TI-99 cost me about $35, and came in it’s original box, all items included and with two games, plus a copy of Star Trek I picked up after buying it. The TI-99 despite not being a true gaming platform is a delight to game on, the graphics are simple and remind me of the Sinclair ZX Spectrum, and the games are still pretty fun. My favorite in Parsec a somewhat kiddie-fied version of Defender that is a true blast to play, and equally challenging. I have two additional games in my testing que, but they are also still being shipped. TRS-80 CoCo – The Tandy-Radio Shack 80, was a line of computers sold by Tandy, before the computer manufacturer would just skip the TRS part and just head right to Tandy. The line included 4 different pre-color versions, the I and II where separate component type (monitor, CPU, keyboard, etc) systems, while the III and IV were all-in-ones. Later the various CoCo’s (Color Computers) would be introduced, simple color systems capable of gaming, that could be part of component sets or directly hooked up to a TV. The CoCo’s featured cartridge slots for games, and other applications but it’s the former that endeared them to a lot of gamers. Looking for the TRS-80 experience I bought TRS-80 Model III early last year, just to find out it didn’t take carts. So I bought my CoCo shortly after, and in October of last year sold the massive Model III at a nice profit. It would take until January of this year before I could get the CoCo hooked up, and when I did I was knocked off my feet. Although I only had, and still only have one game Canyon Climber I was impressed with what I saw and played. The TRS-80 is one of those systems I will have to put some time into hunting games on, although I may have a few more on the way before the end of the weekend. The thing about vintage computers is that when playing them you realize there is so much more they can do than just play games. These very same computers might have been involved in doing a family’s taxes, helping write papers for college courses, or they may have even been part of some small business. You also realize with the various programming languages on them, you could in fact design your own games. In a way there is a feeling of lost potential here, which is sad at times, but then you realize that the moment these computers arrived home for the first time someone was saying, “Gee I wonder what games I could play on that!”. Vintage computer collecting isn’t for everyone though and that’s understandable. After all, to really get these systems and their various idiosyncrasies you had to live back then, and to have operated one of these things in their prime. It’s all about knowing the flashing cursor, the 5 ¼’ and tape drives, and when to insert the cartridge, and the knowledge that any and every program that computer would run had to be fed into it via an external disk, or some other source. Relating these machines to someone purely of the Windows 95 and era after, would be like telling them they had to load Windows off a flash drive every time the wanted to do some work, since internal hard drives didn’t exist as of yet. Of course the progression of collecting vintage consoles, leading to collecting vintage computers can be somewhat natural. Vintage computers help tell the story of video games as we know them, and if you’re of a certain age there’s no doubt your personal history is part of this. Like vintage consoles, computers also demand some TLC as well as operating knowledge in order to understand the various idiosyncrasies of each system. For me personally I find all of it nostalgic, since my childhood experiences often allowed me to work with some of these systems in their prime, leading me to a general understanding as to how other systems of the era operated as well.